Sergeant Jeanette Bautista, a military policewoman at Fort Carson, Colorado, filmed her last day on duty with her long-time friend, who is also a sergeant. During the interview, the two admitted that they’ve never deployed in the five years they’ve been MPs, and have known each other since they first processed to go to basic training. After a while, the camera panned over to show base operations at the front gate, revealing camera locations and gate security procedures. 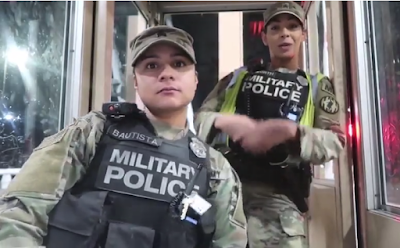 During the interview, Bautista and her buddy expressed their desire to get out, doing a little dance while they talked about being done with the service. 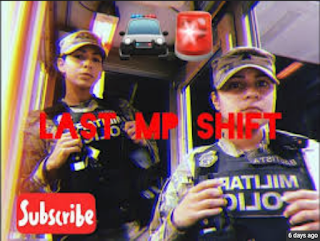 The video has been removed from SGT Bautista's YouTube Channel, but can still be viewed on Popular Military. Consider OPSEC before posting to social media. 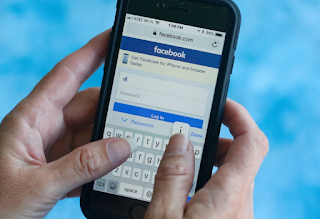 Anything posted on social media can be copied and cross-posted to other sites. Peterson resigned from his job at the Broward County Sheriff's Office shortly after the shooting in February after being the target of backlash for not intervening during the mass shooting. This ruling should come as no surprise. The courts have repeatedly ruled that the police have no duty to protect individuals in their communities from harm. 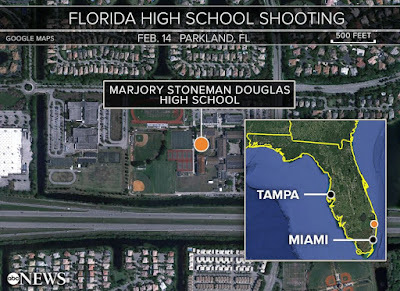 Certainly there are men and women in law enforcement that do put themselves at great risk in the defense of others, but the law does not require them to do so, and they may legally choose to standby and do nothing - as we saw in Parkland. 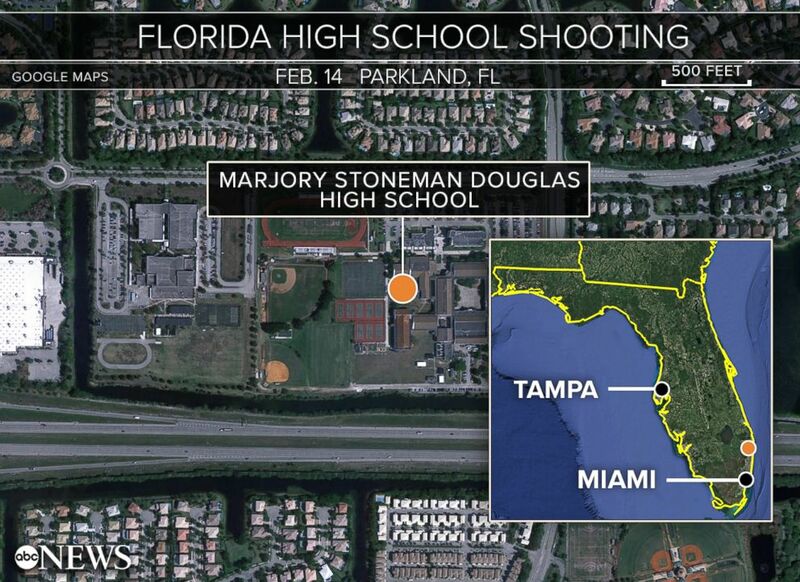 Combine this with "gun free school zones" ensuring the teachers, parents, and other law abiding visitors to schools will be unarmed, and we create an environment where children can be attacked with impunity by any violent criminal. Military personnel deployed to a combat area, their supporting contractors overseas, government civilian employees overseas, non-government organizations (NGOs), journalists working on international stories, businesses attempting to establish a foothold in developing countries, and individual travelers to remote areas of the world can all find themselves in hostile and non-permissive environments. This guide covers a broad range of subjects that are intended to aid individuals, living and working in dangerous areas, in being safer in their daily lives and in being better able to protect themselves and survive in case of an emergency, disaster, or hostile action. Facebook said Friday that an attack on its computer systems that was announced two weeks ago had affected 30 million users, and the personal information that was exposed was far more intimate than originally thought, adding to Facebook’s challenges as it investigates what was probably the most substantial breach of its network in the company’s 14-year history. Regardless of your privacy settings, consider anything that you post to social media to be PUBLIC!. Remember that whatever you post may one day be read by your grandmother, your priest, your local Sheriff, or published on the front page of the New York Times. If you have a concern with something being seen (and perhaps republished) in a public venue, don't post it to social media. President Donald Trump said Sunday's that he will be "reviewing" the case of a former U.S. Army Green Beret being charged with murder, raising questions about the possibility he could jeopardize the ongoing military legal proceedings. 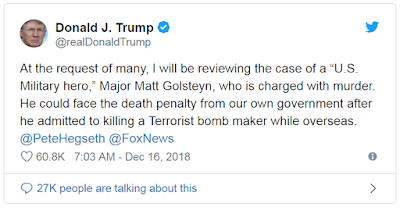 Trump tweeted that "at the request of many" he will examine allegations that Mathew Golsteyn hunted down and killed a suspected bomb-maker in Afghanistan. 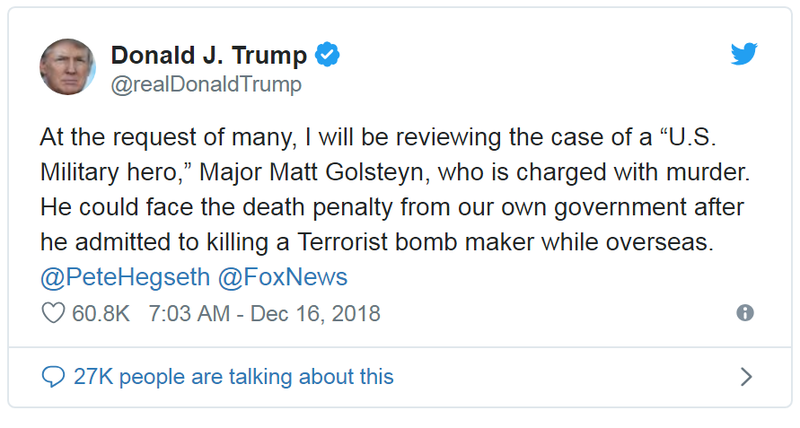 The president tweeted that Golsteyn is a "U.S. Military hero" who could face the death penalty "from our own government." In a statement Sunday, Army Col. Rob Manning, a Pentagon spokesman, said that "the allegations against Major Matt Golsteyn are a law enforcement matter. The Department of Defense will respect the integrity of this process and provide updates when appropriate." Ryan Joseph Beisley, wounded by Portland police at the Starbucks at the Hollywood [OR] Fred Meyer on Friday (Decmber 7, 2018) night, was carrying a fake black handgun that he appears to have pointed at officers, according to a preliminary police investigation. The replica firearm was found near where Beisley was lying before he was placed on a gurney and into an ambulance, police spokesman Sgt. Chris Burley said. Beisley, 34, escaped Dec. 1 from a Seattle residential re-entry center and was wanted on a federal fugitive warrant, according to federal prison records. On Jan. 20, 2015, Beisley was sentenced to five years and 10 months in federal prison after pleading guilty to three bank robberies and two attempted bank robberies that occurred between Nov. 16 and Nov. 26, 2013. He also was ordered to pay more than $10,000 in restitution. 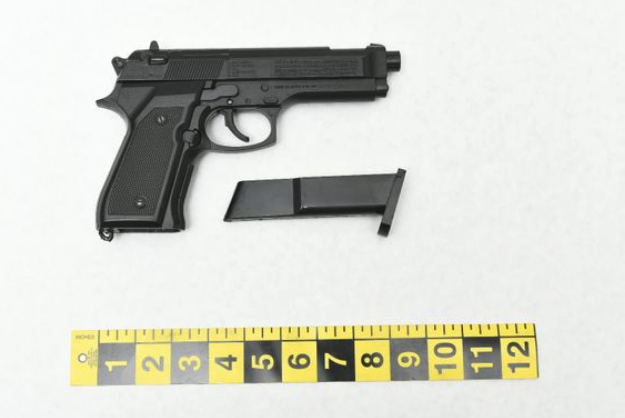 There is little chance that responding police officers can tell the difference between a real gun and a toy when responding to this type of a scene. This YouTube video shows why police sometimes shoot even unarmed citizens when responding to calls. Imagine living in a society where every action you make in your day-to-day life is monitored, quantified and scored by the government using a massive surveillance network. Now, imagine that score is used to determine everything from your career choices to whether or not you're allowed to travel outside the country. This kind of dystopian fantasy is common in science fiction, but in China, the Chinese Communist Party is working to make it a reality. 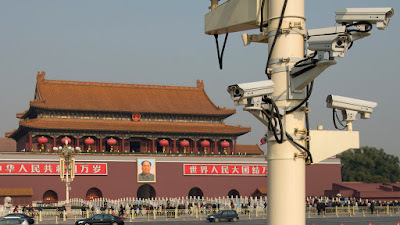 Many would consider the surveillance system of the Chinese Communist Party to be oppressive, an abuse of human rights. And while China may be a few steps ahead of other countries in the constant surveillance of its citizens, China is not alone in this surveillance state mentality. The finding, announced in a news conference on Monday, was seen by the man’s family and lawyers as evidence he was running away and posed no threat to the officer who shot him. The forensic examination indicated Mr. Bradford was shot in his back, the back of his head and the back of his neck. 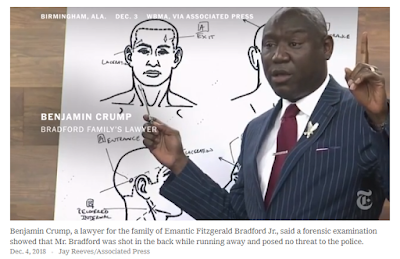 “All of these shots were potentially kill shots,” said Ben Crump, the Bradford family’s lawyer. Emantic Fitzgerald Bradford Jr., 21, was fatally shot in the middle of a panicked crowd at the Riverchase Galleria in Hoover, Ala., on Nov. 22, as officers responded to reports of gunshots on Thanksgiving night.